J-series smartphones are Samsung’s best selling phones ever. It’s already been a year since Samsung launched J7 2016 and Recent reports of Q2 2017 reveal that Samsung J7 2016 is still the fourth most selling Android smartphone. The popularity of one-year-old model reflects the trust, support, and quality of Samsung’s offerings. Samsung J7 2016 is powered by 5.5inch Display, Exynos 7870 Octa-core processor, 3GB Ram, Expandable storage and 3300 mAh battery. Rooting unlocks many hidden functionalities and gives a chance to tweak performance and battery life of your smartphone. If you are new to the world of rooting, head over to this page to know more about unlocking and rooting an Android device. 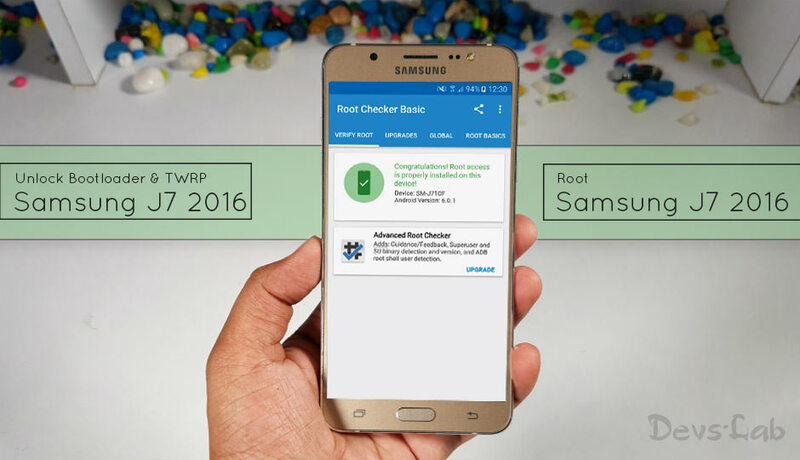 If you are familiar with rooting, then continue with us to know how to Unlock Bootloader, install TWRP and Root Samsung J7 2016. Caution: This guide should be followed only by users of Samsung J5 (2016 version only). So, Please confirm the model no: SM- J710F before proceeding with the steps mentioned below. Unlocking will erase everything present on the device. So please backup your data before proceeding with steps below. Make sure to charge your device upto 60% to avoid any low battery issue during the process. Enable developer options and OEM Unlock: Go to Settings > About Phone > Tap on Build Number 7 times until it says “You’re now a Developer”. Now return to Settings > Developer Options > Enable USB Debugging & OEM Unlock. Step 1. 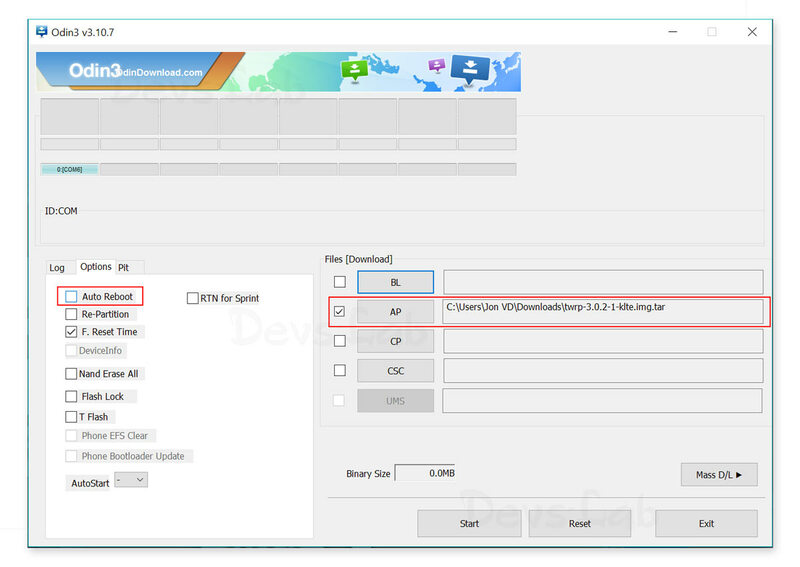 Download and extract the Samsung Odin zip file. Also, make sure your PC has Samsung USB drivers installed. Step 2. Power off your device and then Hold Power home and Volume up buttons to boot into download mode. Step 3. Right click on the Odin.exe file and click “run as administrator” on your PC. Now connect your device using USB cable. Step 4. You should see a box in left most section, lighting up blue, description on left saying Added. Step 5. 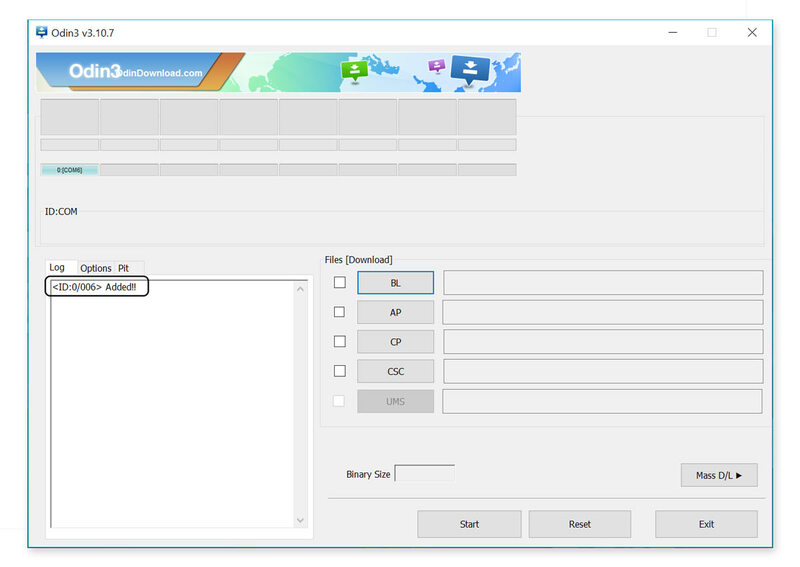 Select AP slot and then select the Downloaded tar file of TWRP file. Step 6. Uncheck the Auto Reboot option in the top section and then start the flashing process. Step 7. On successful completion, you must box lighting up in green. Step 8. Now in TWRP ask you for allowing modification, You must swipe to allow changes or the OS will replace TWRP recovery once you reboot your device. Step 9. Next, continue with the rooting process below. Step 1. 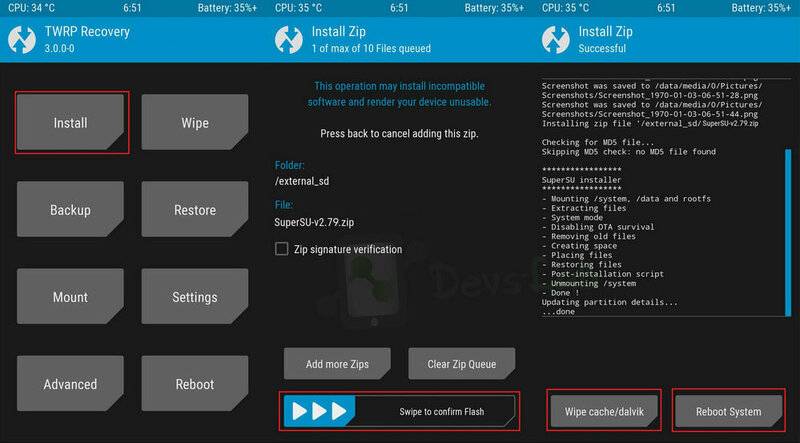 Download and transfer the Supersu zip file to your device. Step 2. Reboot into TWRP recovery by using key combinations(VOLUME UP – HOME – POWER), if you are already in TWRP then skip this step. Step 3. In the main menu, tap on Install option and search for the Supersu zip file. Step 4. Select the file and swipe to the right to start the flashing process. Step 5. Wait for completion and then Wipe Dalvik/Cache. Step 6. Next, remove your device from PC and Reboot by long pressing the power button. Alternatively, remove and reinsert the battery, then restart. Step 7. Don’t interrupt the boot process, give some time for the first boot. That’s it. If you followed every step correctly, your device should be rooted by now. 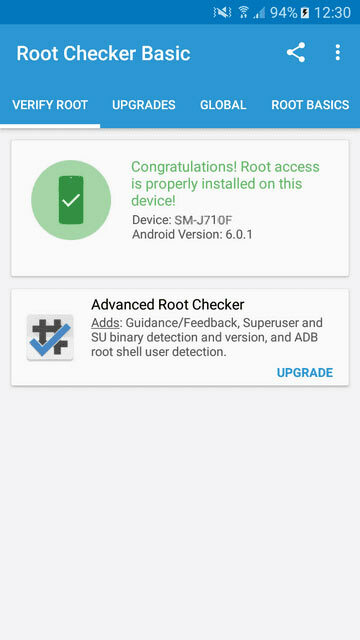 You can check the root permissions by using any app requiring root/ Root checker apps. Also, visit our ten best apps for rooted devices to start tweaking your device. For any queries/issues, please comment below.